Southern Nevada – Off the Road. One of the neat things about being a grad student at Caltech is that the geology department runs a geotourism class every term, where you go on a long weekend trip to look at features of geological interest within driving distance of Southern California. This year, I am TAing the class, and we had the trip out to Southern Nevada this past weekend. Some pictures and highlights are below! Group campsite at Red Rock Canyon the first night. 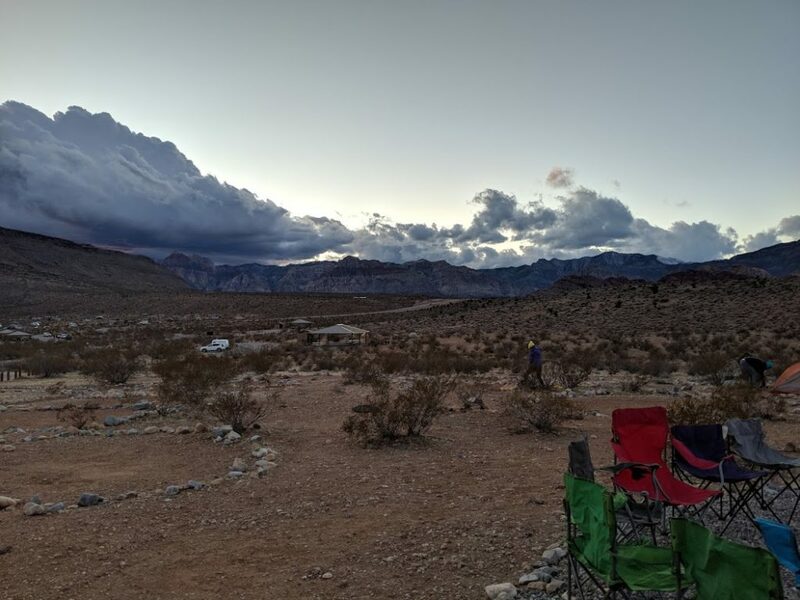 The ominous clouds on the horizon ended up raining on us at night, and we woke up to ice frozen on the outside of our tents! 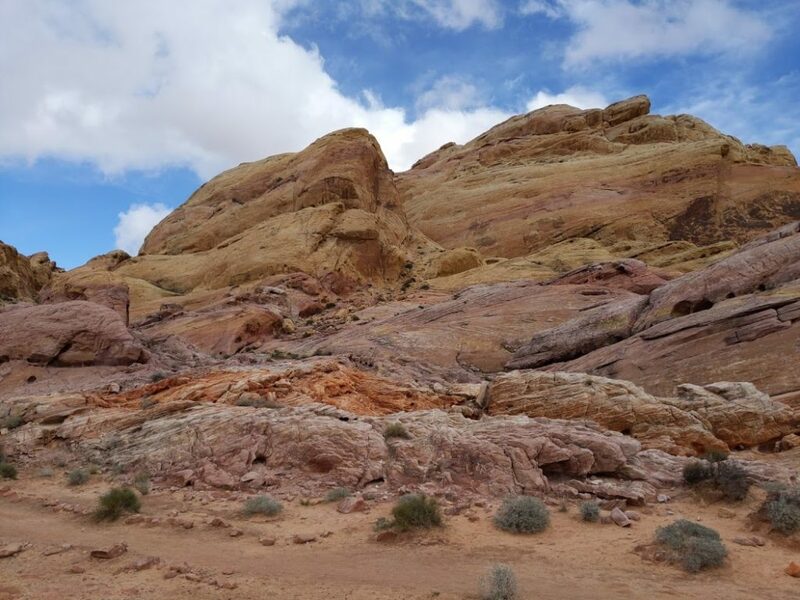 Beautiful colors in the sandstone at Valley of Fire. The red color is caused by differences in the oxidation of iron minerals in the rock – basically it is rusting in place. 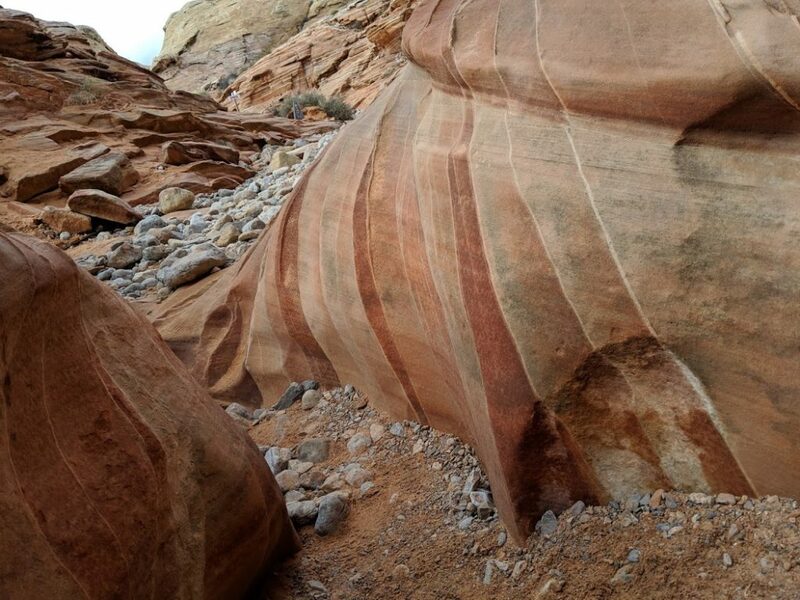 Beautiful cross-bedded sandstone in the Valley of Fire State Park. These used to be sand dunes when most of the US was a giant desert, like the Sahara, during the Jurassic. 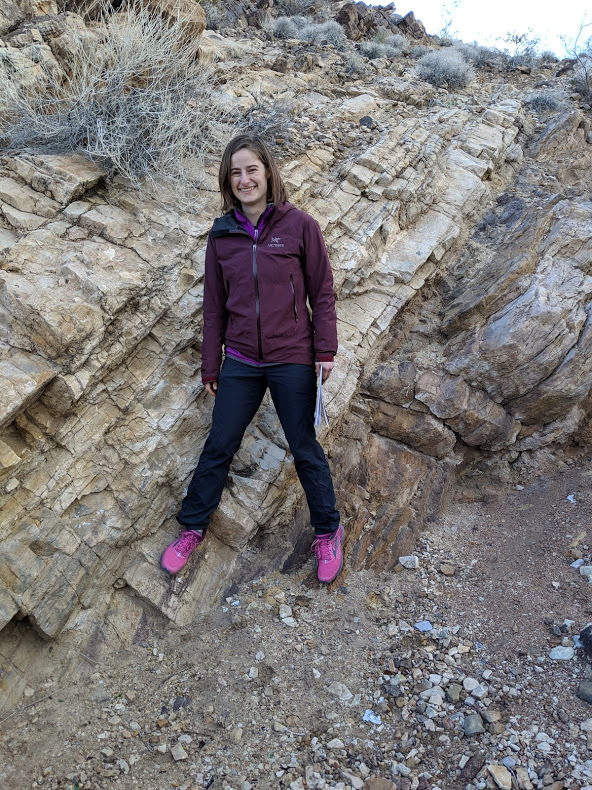 Standing on the Great Unconformity. Over 1 billion years of geologic history are missing between my two feet! 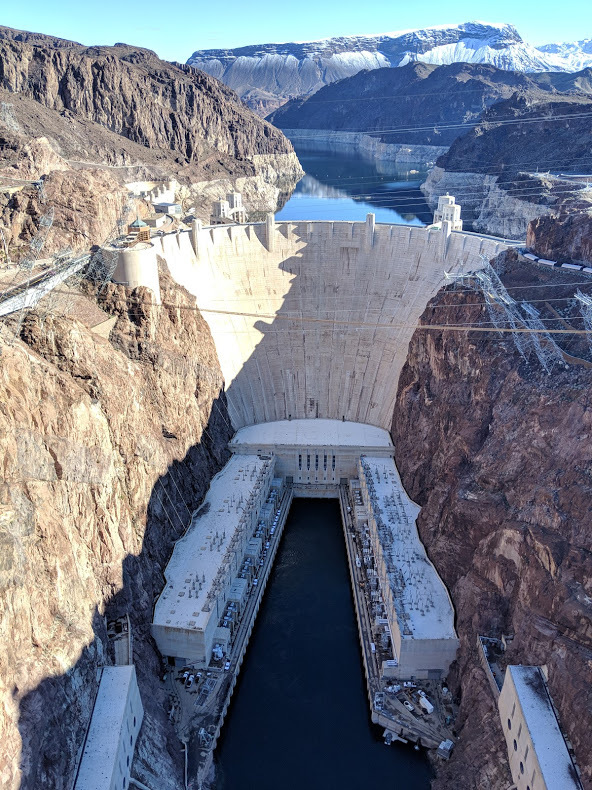 View of the Hoover Dam in the Black Canyon volcanics, with the “bathtub lines” from the drop in Lake Mead water levels visible in the background.